Four leaves of romaine, gently grilled, then chopped and tossed with a spoonful of honey vinaigrette, in under two minutes. Lunch is served. Seeds, nuts, dried fruit and/or cheese are optional, but desired. All in moderation. Warm winter salads may be created in any number of ways. Roasted root vegetables, grilled lettuce, lightly sautéed hardy greens, the list goes on. Inspired by St. Louis Chefs and the November 2010 issue of Sauce Magazine, I “grilled” romaine for lunch. After few seconds on the grill the romaine’s crisp, fresh taste was given just a hint of a smoky, nutty flavor. Drizzled with a little warm vinaigrette and served on a heated plate, this usual summer salad green warmed me up on a winter’s day almost as well as soup. I’m hooked on this trend! I can’t admit that I grill, because I don’t actually have conventional grill. I have ingenuity, which is to say I stack a cooling rack on a square frying pan and heat up the contraption over the stove. It works. The key is timing. A few seconds is all the lettuce needs to garner that wintery flavor before wilting or transforming into a crisp. 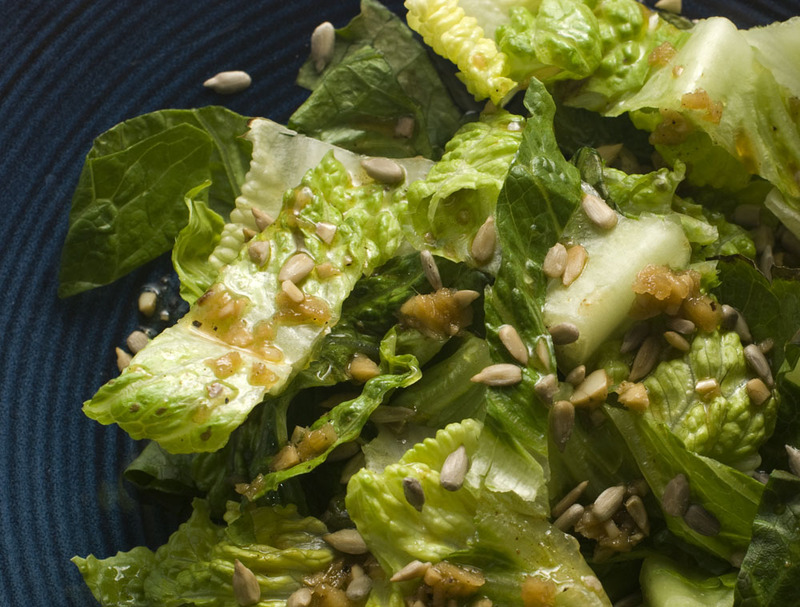 Warm romaine tossed with homemade honey and ginger vinaigrette and sprinkled with sunflower seeds. A little sweet, a little salty, altogether warm, and so fresh! 1: In a medium saucepan, whisk together all ingredients until fully incorporated. Heat on low, just until sauce becomes warm. Serve immediately. 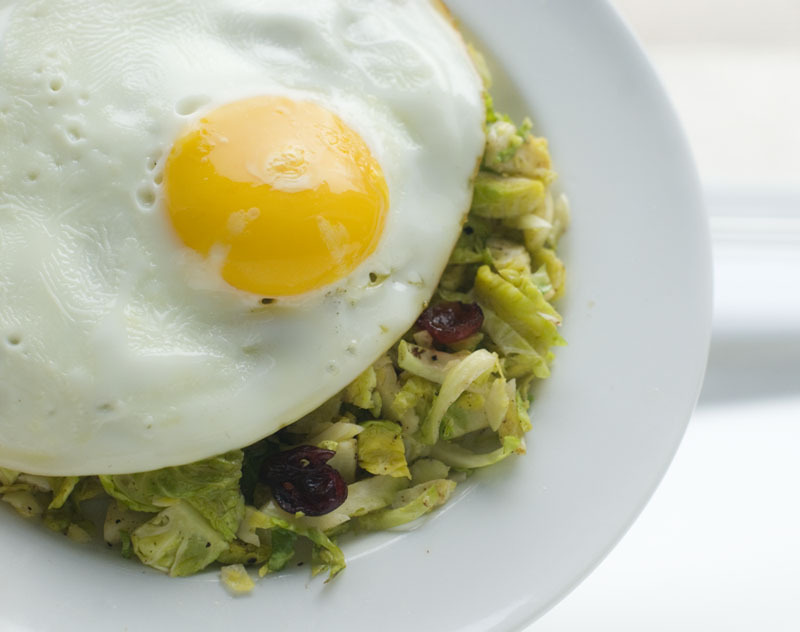 Above is Crunchy Sweet Brussel Sprout Salad topped with an egg, sunny-side-up style. No dressing needed here.